Protects the LeapPad 2 and it's screen from scratches whilst travelling and out and about. Storage also for six game cartridges and stylus. Recommended retail price £14.99. Available from Amazon in Green and Purple colours. During Christmas 2011, these cases were in very short supply (even more than the original tablet itself). Provides additional bumps and scratches protection to the tablet whilst in use. Recommended retail price £7.99. Available from Amazon in Green, Purple and Blue. 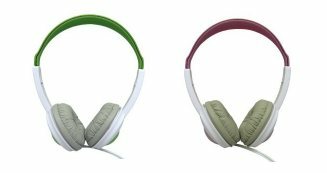 Specifically designed to fit kids ears, these heaphones are ideal for use with the LeapPad 2 without disturbing others around them. Recommended retail price £12.99. Available from Amazon in Green and Pink. 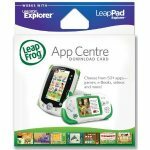 Allows you to go online and choose a learning app to download from the LeapFrog App Centre. Recommended retail price £14.99 and available from Amazon. Allows you to recharge batteries from mains electricity when batteries run flat. Includes rechargeable battery pack set and AC adapter. Only works with with the LeapPad 2 tablet. Available from Amazon with a recommended price of £24.99.